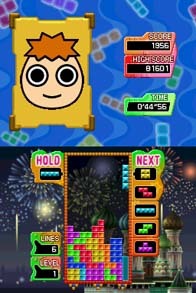 Tetris Party Live was the fourth release in the Tetris Party series developed by Hudson Soft and published by Tetris Online, Inc. for Nintendo platforms. Tetris Party Live was a downloadable iteration of Tetris Party Deluxe which saw a physical release on the Nintendo DS and Wii in May of 2010. 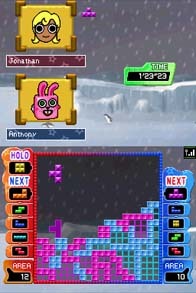 The original Tetris Party was released for WiiWare in the Fall of 2008. 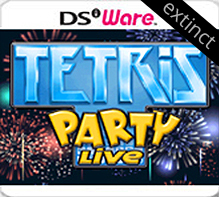 Tetris Party Live was removed from the DSiWare service no later than March 31st, 2012 though the reason is unknown. Tetris Party for WiiWare predates it, comes from the same developer and publisher and remains online to this day. 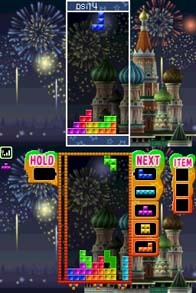 It is possible that the game was delisted in accordance with Electronic Arts’ license to Tetris on mobile platforms that was in place by 2009. It could also be that the game offered a cheaper alternative to the physical DS release at $4.99 and was removed to encourage sales of the pricier version. 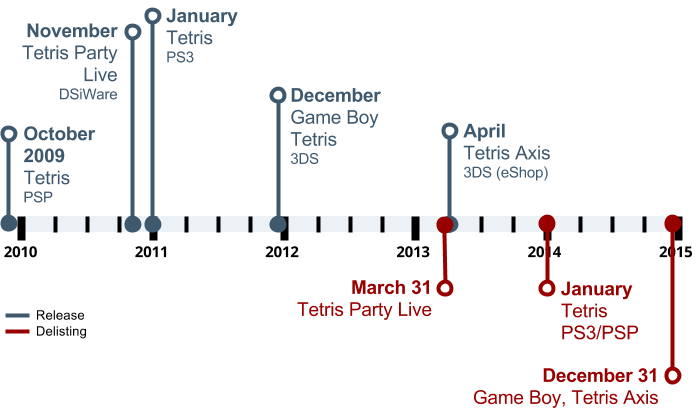 Continue reading to see where Tetris Party Live fits in the modern, digital Tetris lineage. “Play Tetris in real-time with the rest of the world! Companies: Hudson Soft, Tetris Online Inc.